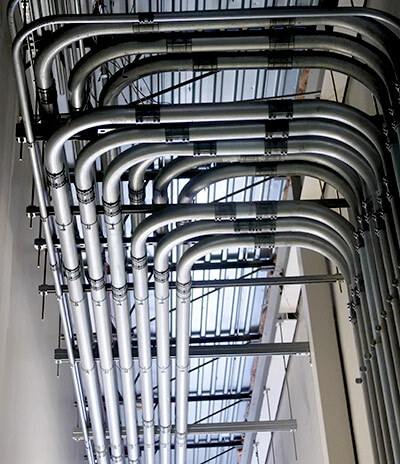 11200 Lakeview Ave – Lenexa, KS – KC3 is the keystone of our South Lake Data Center Campus. 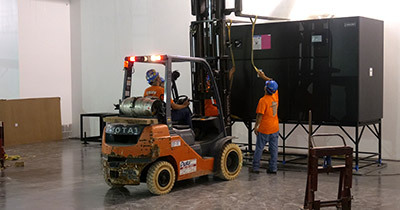 This Tier III design data center augments the innovative and growing Kansas City market with a full range of colocation, cloud, and connectivity solutions. Diverse utility power feeds, diverse network entry points, and multiple fiber providers all contribute to robust resiliency. In addition, there are diverse dark fiber connections to KC2 and 1102 Grand Street, which enhances the onsite connectivity and service options available. 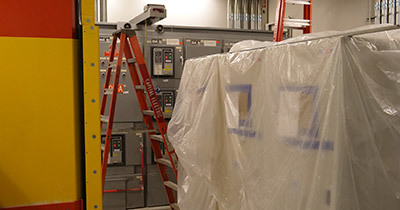 KC3 brings 25,000 square feet of raised white floor and 3MW of power capacity, expandable to 106,350 square feet and a total design capacity of 8MW. 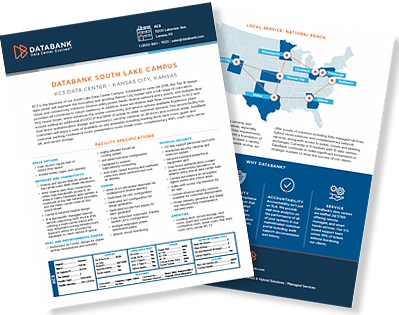 DataBank customers will enjoy a suite of available on-site amenities including loading dock, tech room, guest and customer parking, conference room, presentation room, break room, complimentary WiFi, crash carts, server lift, and secure storage. DataBank wants to be the easiest and best technology partner you’ve ever had. Discover how the features, platforms, and services available at KC3 can help make that happen. At DataBank we find that doing things the right way the first time is the best way to achieve success. This starts with our consultative process. No hard sell, no over promising, just exceptional service and uncompromising performance.